Exit doors (escape route doors) are located on the signed route from the carriageways to the outside. They must be operable in the escape direction by road users at any time. 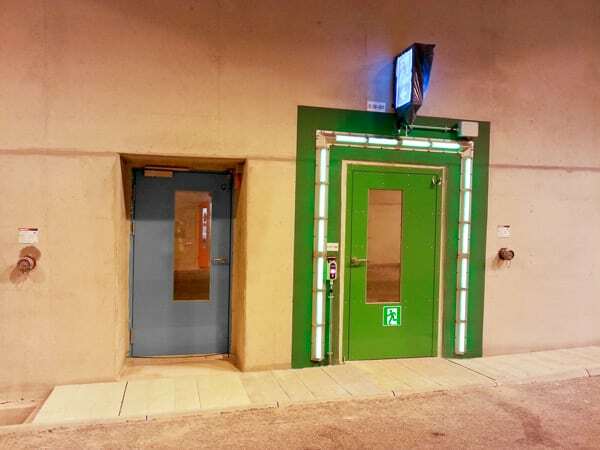 Exit doors that are used in tunnels and which separate fire compartments must conform to the Technical Supply Specifications and Technical Test Regulations for Doors and Gates in Road Tunnels (TL/TP TTT).